The NEW one hour Legionella test using the PrimeLab photometer is based on a patented, immunomagnetic method, detecting only living Legionella sp. Colourimetric analysis, via the PrimeLab 1.0 Multitest Photometer indicates presence of legionella bacteria. The current standard recommended Legionella test is based on a cultural method, needing up to two weeks for Legionella bacteria to grow and to be counted, which is far too long to take action and to minimise risk. The new legionella test using Legipid® reagents is based on a patented, immunomagnetic method, detecting only living Legionella sp. Colourimetric analysis on the PrimeLab 1.0 Multitest Photometer provides accurate results. Whilst the common cultural method needs agar on which Legionella have to grow to be counted after several days, PrimeLab with Legipid® reagents works differently. One litre of sample water is filtered to concentrate Legionella on a filter paper. Legionella present on the filter paper are released in a small vial where “L1″ is added. “L1″ is a patented solution, containing immuno-magnetic particles (antibodies), which only attach to living Legionella sp. After several wash steps, a colouring solution is added to the captured Legionella. Concentration of colour is related to concentration of Legionella in the sample, which makes it possible to test using the PrimeLab 1.0. The result is accurately displayed as cfu per litre. The PrimeLab Legionella test kit comes with all you need to run Legionella tests. Filter kits to filter your water sample are supplied separately. Legipid® is offered as a kit of 10, 40 or 100 units. Each test run requires just one blank test. For all those who currently use a PrimeLab, all you need, is an update through the PrimeLab Desktop Assistant Software or the App, an activation code for ID 147 (Legionella) and a small plastic adapter to use 1ml Legionella vials. 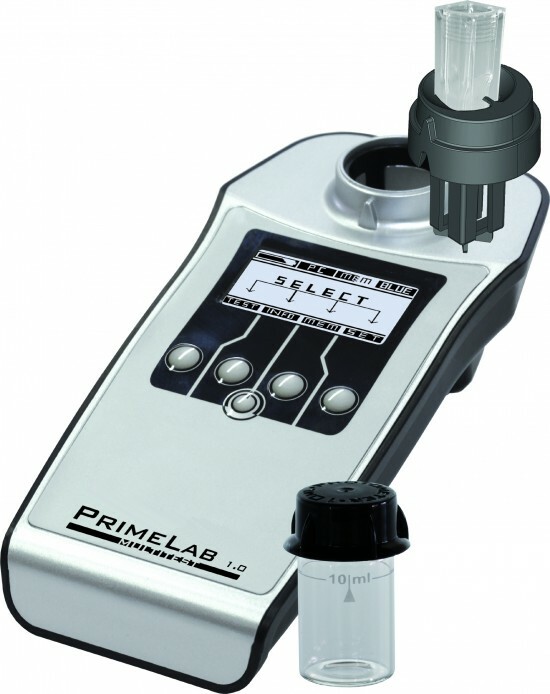 If you do not yet have a PrimeLab, benefits include 120 different test methods, starting with A for Alkalinity to Z for Zinc. JENCOLOR sensor technology allows parallel testing on 400 different wavelengths ensuring utmost accuracy of test results.